A recent survey by AVIVA discovered that the number of UK adults using physical activity trackers has risen by 75% in the last year. Just as we humans are evolving, so is technology. It’s becoming smaller, faster, smarter, and even wearable. With a growing awareness of how lifestyle impacts health, more and more people are using physical activity trackers to improve their fitness and overall wellbeing. A new study has found that one in five UK adults – equivalent to 9.8 million people¹ – now use wearable tech to monitor physical activity, compared to 5.6 million in 2016, an increase of 4.2 million users. The survey showed that devices are most commonly used to track physical actions (such as number of steps taken), but millions also use gadgets to track sleep, heart rate and medical symptoms. Usage is most common amongst younger people, with 29% of adults under 25 now saying they use wearable activity trackers. However, the largest increase appears to be amongst the 45-54 age group, with 18% of UK adults in this age group adopting the gadgets, compared to 11% last year. 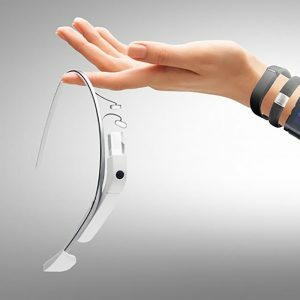 With wearable tech being one of the key areas of innovation for business, and an increasing number of people planning to buy these products, sales will continue to grow. 28% of people questioned plan to buy wearable health technology for themselves or hoping to get a device as a gift. A further 5% plan to buy a device as a gift for someone else. Dr Doug Wright, Medical Director at Aviva, comments: “Usage of healthcare apps and wearable technology has risen over the past year, as people gradually begin to work this relatively new technology into their everyday lives. With many people keen to reach health and exercise goals, it’s encouraging to see an increase in the number of people using technology to track their physical activity. As we surrender more personal data we need to consider the implications of our intimate health details passing into the hands of third party corporations. How safe is that data and who exactly is accessing it? I remain more alarmed by the prospect of someone stealing my bank details than my health records and the more I give up of myself the more I invite the likelihood of that happening.